What a week! All good of course, but between all the summer activities, eating and lack of sleeping, it’s no wonder I’m trying to squeeze in a Quick Takes on Friday while sitting with my boys at physical therapy. 1. We had family visiting from Wisconsin for a week and in that time we attempted to do. all. the. things. that you can do in South Jersey. 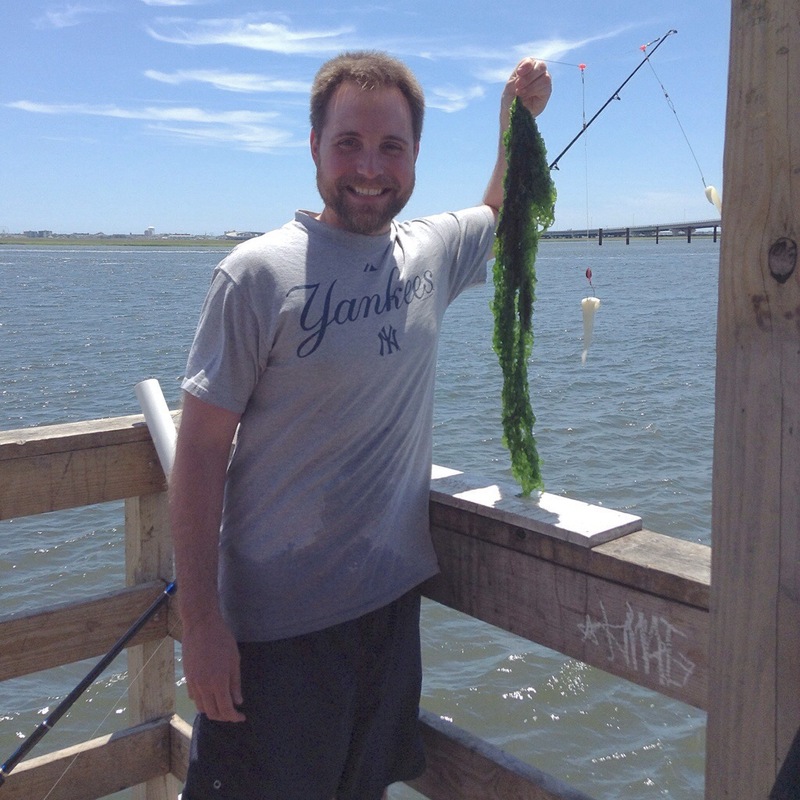 First was fishing and crabbing on Friday with a side of swimming and sunning by the Bay. Check out the size of that catch! 2. Monday, we hit the beaches in Wildwood because guards at the 15th St. beach in North Wildwood offer to drive wheelchairs out to the water’s edge in an ATV. IT WAS AWESOME!!! All the fun of the beach with none of the exhaustion that comes from dragging his stroller across the sand. Plus, Fulton got several ATV rides: bonus! And the beaches are free. AND I got two steak tacos plus a large Coke on the boardwalk for $6. Pretty sure we’ll be back. 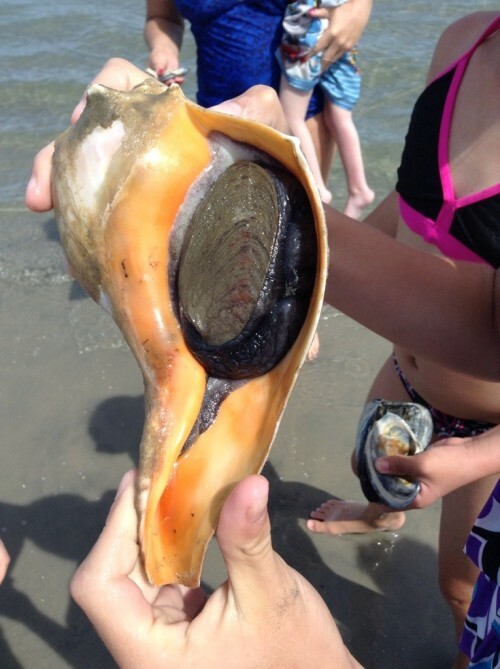 We found a conch shell with a snail still inside! Homeschool biology FTW! Don’t worry, we put it back in the ocean despite Teddy’s insistence for a new pet. Three: worst. age. ever. …for behavior. Also happens to be the age when my kids look their cutest. Coincidence? I think not. 4. And one of those night, Fulton and Teddy got a camp out in the backyard with Papa while the older kids visited a carnival. It was kind of a big deal for everyone. 5. So after all that I was looking haggard, unshowered, and sore. What better thing to do then set up a video interview with well-known Catholic writer, blogger and speaker Brandon Vogt??? Sounds like a great idea for someone who’s NEVER done one of those before. Of course, Brandon was a pro and gave me lots of tips to make things go smoothly. However, he couldn’t prepare me for the part where my father in law would walk in the room and start watching me record my interview but, you know, I don’t think my “OH MY WORD WHAT ARE YOU DOING HERE I NEED SILENCE AND PRIVACY!” face isn’t too noticeable. I’m looking forward to posting that interview next week along with a giveaway for Brandon’s new book “Saints and Social Justice, A Guide to Changing the World”. 6. Do I have a future as a vlogger? I didn’t think so, but then I spent $30 on this Skype recording program soooooo………who do I interview next? 7. Coming up short this week. Gotta busy weekend on tap with Fulton’s sixth birthday and our Nativity of St. John the Baptist party. It’s going to be so much fun and excitement, and sugar I can’t wait for Monday. No seriously…this weekend will be fun. (Deep calming breath.) Be sure to swing back to Jen’s for more Quakes and Ticks. That shell was awesome!!! My kids would have been ecstatic. I also enjoyed the aquarium story. Ah, three year olds. I have such a love/hate relationship with that age. 🙂 I look forward to seeing the interview! 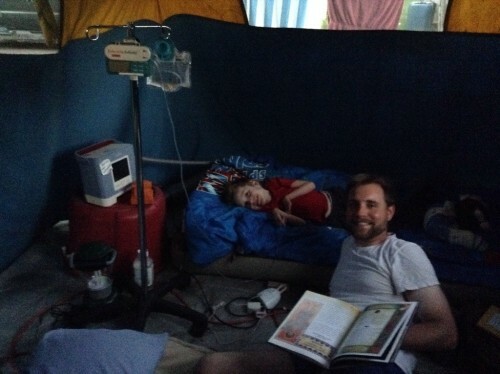 The picture of your husband in the tent with Fulton (?…sorry newer reader here!). Is precious. I will add your family to my daily prayers. Love the bit about your father in law! haha!